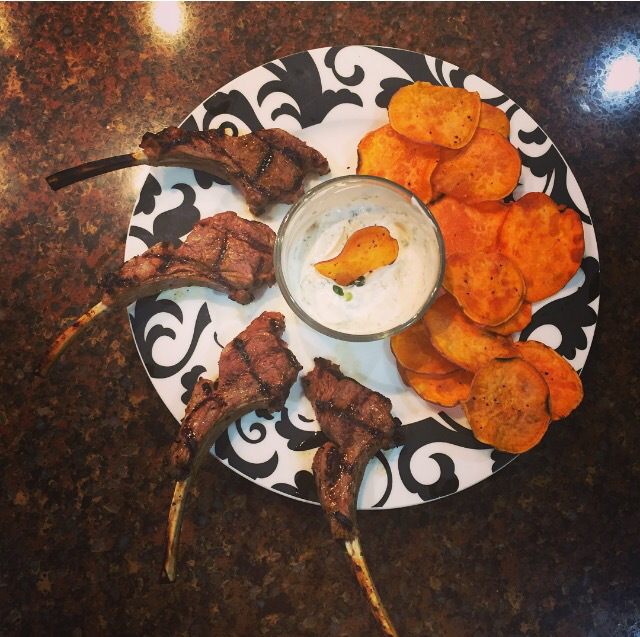 A strange combination, I’m aware, but I wanted to try some homemade sweet potato chips and I felt like the crispness would compliment the lamb wonderfully. Also, I figured I could make a refreshingly cooling dip that could be used by the lamb or the chips and tie the whole dish together. Clean and separate the lamb rack. In a bowl, combine the sour cream with chives, dill and lemon juice. Mix to combine. Grill the chops until desired doneness and serve alongside dipping sauce. Slice the sweet potatoes as thin as possible with a mandolin. Place on paper towels, without overlapping and season with spices. Allow to sit and dry for at least one hour. 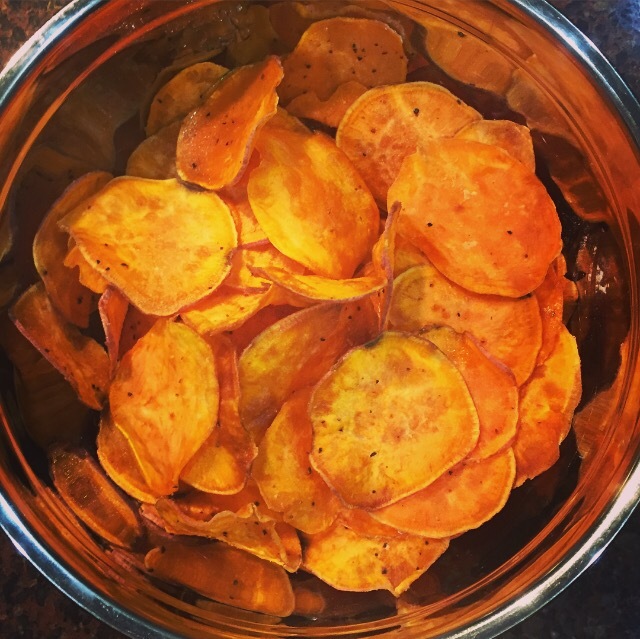 Heat oil in skillet and in non-overlapping batches, fry the sweet potatoes until crisp. Allow to dry on paper towels and enjoy! As a Paleo devotee, my successes and failures are dedicated to leading a healthy Paleo-inspired lifestyle. Most of my recipes do not include exact measurements because I rely heavily on my intuition when cooking. These measurements also fluctuate depending on how many people you are cooking for and your personal preferences so I invite you to put your own personal spin on any recipes I post. Please update me with any interesting additions or alterations to my recipes, I am always open to trying new things! And please post your comments and questions below; especially how the recipe worked out when you try it! To check out more of Kristin’s recipe’s you can read her blog by clicking HERE.